Join the Black Alumni Chapter (BAC) for the 3rd Annual Scholarship Luncheon! The Black Alumni Chapter (BAC) was founded in 1965. For the 2019-2020 academic year, the BAC will be offering two $800 scholarships, one of which is in memoriam of Tyrone A. Patton, Jr. (Class of 1991) a recently departed alumnus who was an BAC executive board member for many years. Tyrone lived the mission of our chapter. The Black Alumni Chapter Scholarship Fund was established in 2016 to assist in the education of students who promote and live the concept of positive community involvement within the African-American community. 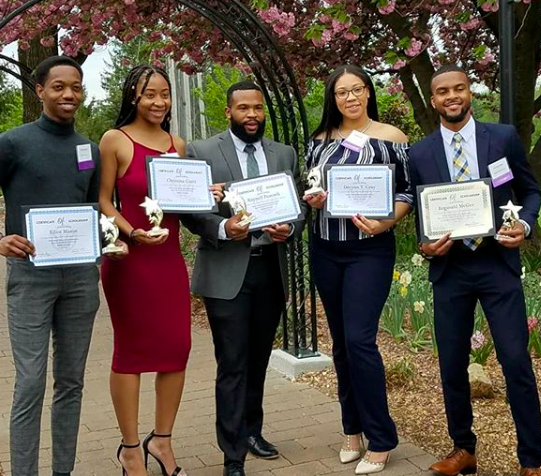 In 2018, the Black Alumni Chapter hosted their 2nd Annual Scholarship Luncheon and awarded the Tyrone A. Patton, Jr. Scholarship to Reginald Magee and the BAC Scholarship to Edwin Jacks. The chapter also awarded four book awards to Elliot Mason, Christina Gantt, Raynell Peacock and Devynn Gray. If you are unable to attend the banquet, please consider donating to the scholarship fund by visiting www.wcufoundation.org/BAC.